Fans of live music and other live events might use See Tickets to purchase their tickets. You will probably need to contact See Tickets about your booking at some point. This page can give you all the information. Back in the 1990s, a 1980s record shop in Nottingham began to sell concert tickets. By 2004, they were trading as See Tickets. Vivendi SA, an international media group in Paris, acquired the business in 2011. Since then, the brand continues to sell tickets for a variety of global events. These include music, sports, theatre, and comedy events. They have over 5,000 clients, including high-profile festivals and companies like SJM Concerts. See Tickets is a founding member of the Fanfair Alliance which is against ticket touts. Contact See Tickets seven days a week for help with your ticket bookings. Whenever you have a question about an existing booking, contact See Tickets customer services on 0844 248 2339. They can assist you with providing order details and tracking your ticket delivery. Call as soon as possible if you need to change your address or delivery method. In some cases, See Tickets might be able to change postal tickets for e-tickets or box office collection. Tickets are usually not dispatched until 7-10 days before the event. Most orders from See Tickets are both non-transferable and non-refundable. Connect to the ticket booking hotline by calling 0844 248 2341. You can buy tickets over the phone once they go on general sale. See Tickets accepts payment by debit or credit card, as well as See gift vouchers or Theatre Tokens. You cannot use these last two options online, so you must call to book tickets. At the end of the order process, the advisor will give you a booking reference. You will need to keep this number to track your tickets. To discuss accessibility tickets, e-mail access@seetickets.com or contact the venue. Tickets on general sale will usually have a maximum limit of tickets you can buy at once. If a larger group is attending an event together, you should make a group booking. An advantage of this is that See Tickets can offer discount rates for groups. An account manager at See Groups will allocate you the best possible seats. Reservations allow you to book now and pay later. Call 0844 248 2342 to make a group booking for a selection of nationwide UK events and attractions. You can enquire by e-mail at groups@seetickets.com. See Tickets has an Education team who handle group bookings for educational trips. Schools can benefit from discounts to major events. Whether they are nurseries, primary, or secondary schools, there will be amazing opportunities for all ages. See Education manages the bookings to ensure a successful learning experience. Educational trips usually involve theatre shows or tours at cultural and historical attractions. Call 0844 248 2343 to make enquiries about an education booking or e-mail education@seetickets.com. 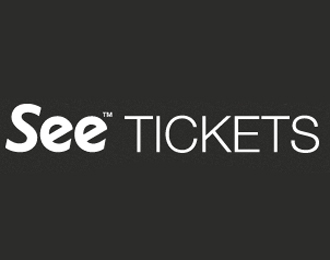 With over 20 million unique views a month, why not publicize your event with See Tickets? Promoters can choose between self-managing their ticketing or having See Tickets manage the event. They can take care of the promotion side as well as the ticket sales. See Tickets offers Ambassador services for Peer-to-Peer sales. Promoters can opt-in to Fan-Share to offer incentives to customers. Call 0844 248 2344 to discuss working with See Tickets or e-mail workwithus@seetickets.com. Coach travel services are also available. See Tickets launched their own ethical resale marketplace in 2017. Fan-to-Fan allows customers to resell their tickets which they bought from See Tickets. This platform is for actual fans to sell tickets they can’t use for no more than the price they paid. Ticket touts will not be able to charge excessive prices over face value. This way, fans can buy cheaper tickets safely without losing money to touts. If you have any trouble with buying or selling tickets on Fan-to-Fan, then call 0844 248 2346 or e-mail fantofan@seetickets.com. Check the Facebook and Twitter pages for See Tickets before you reach out to them. You might find that they already answered your question when somebody else asked. If you cannot find the information, then send them a message. Please remember not to post your personal details publicly. You could also send an e-mail to customercare@seetickets.com. If your enquiry is about an existing order, use your order details to access the customer services live chat. Subscribe to the newsletter mailing list to find out about events.